A wedding is an occasion of many firsts: the first look, the first kiss, the first dance. But what about the first toke? 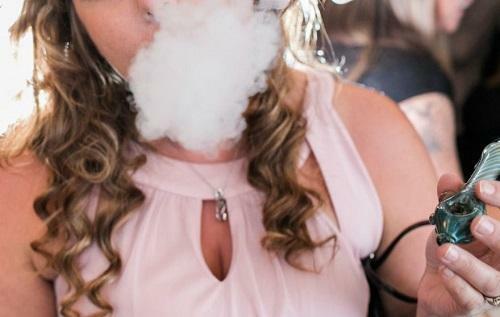 For a growing number of couples in states that have recently legalized recreational marijuana use, the “first married hit together” is becoming part of their wedding vows. Like lighting a unity candle, a ceremonial toke — sometimes from a custom-designed, two-mouthpiece “unity bowl” — signifies the blending of two lives in matrimony.